The bonded seal consists of a metallic insert with a vulcanised rubber compound profile which is bonded to the internal diameter. The bonded seal has been developed to obtain both pressure resistance and vibration resistance in high pressure and temperature conditions where metallic washers are unsuitable. 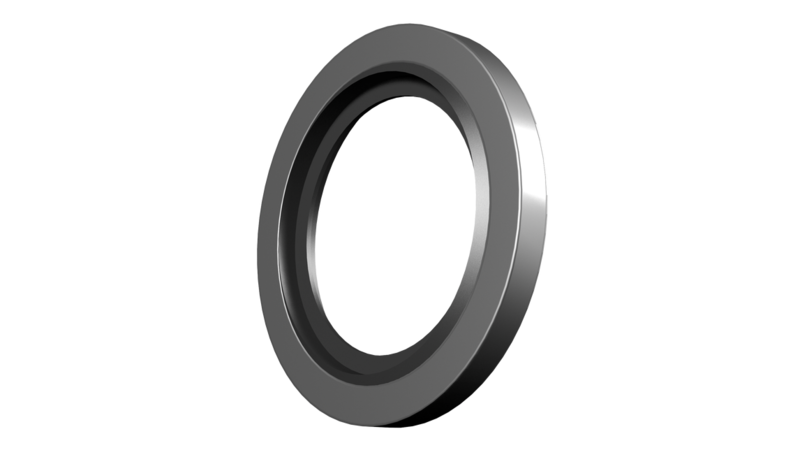 The bonded seal can be used in a wide range of applications in the fluid transfer area. These include: fuel systems, HVAC systems, hydraulic systems and pneumatic systems. The type of metal and the compound used will vary according to the type of fluid in the application, the operating temperature, etc. The metal insert is available in different materials such as mild steel, stainless steel, brass, aluminium, etc. Where necessary an anti-corrosion surface treatment is also available. The range of compounds includes NBR, HNBR, FKM, EPDM, etc. Compounds can also be developed according to customer needs.